In the Android system, key-value pairs are used to store information. With their help, you can store the values of variables, or various information that the application may need in the future. 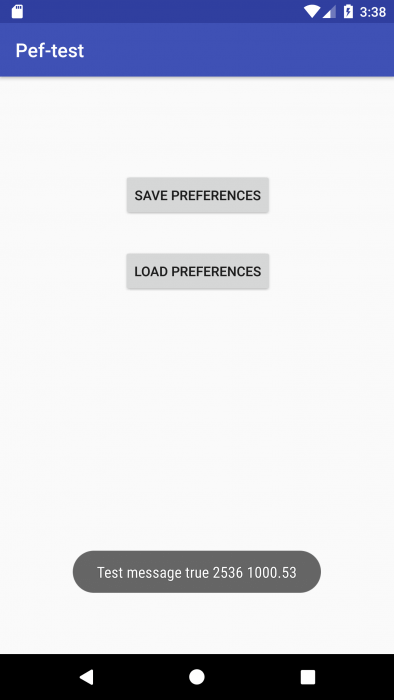 And although the SDK already has a ready interface, called SharedPreferences, which provides methods for saving and reading settings in the application, there are various libraries that implement the task in other ways. One such library is Binary Preferences. More information about this library can be found on the repository page. Compare the work of SharedPreferences and Binary Preferences, for this we write an application that performs the same operations first by standard means, and then using the library. To do this, create a SharedPreferences object and add variables of different types to it and save it. Run the application and write the data. 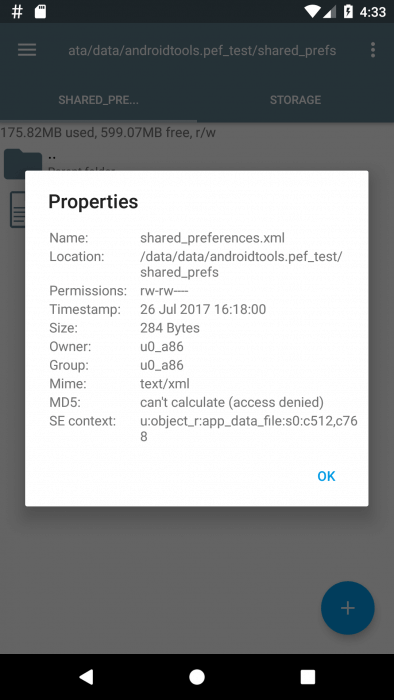 Now let’s see how much space the data on the device took, it will require root access to get to the /data/data/androidtools.pef_test folder, which is located at the root of the system. More information on how to get root can be found here. Inside this folder is the shared_prefs folder, where our data is stored. Data is stored in an XML file whose name is identical to the first parameter getSharedPreferences() (in this case – shared_preferences.xml). As you can see from the screenshot, the data occupy 284 bytes in memory. Let’s compare now with the work of Binary Preferences. Because the interface is the successor of SharedPreferences and SharedPreferences.Editor, the differences in the code will be minimal. The main emphasis in the library is on storage of complex objects consisting of many fields through the Persistable interface. Thus, small overheads are achieved for serialization/deserialization of data, i.e. there is no transfer to xml and json, which can be critical in some projects. Similarly, run the application and write the data. Let’s look at the files, only this time we need a folder not shared_prefs, but files. The values inside it are stored in preferences/pref_name/values. As mentioned in the features of the library, each key-value pair is in a separate file, and in total they occupy only 48 bytes. From here we can conclude that the more data you need to store the application, the more will be the gain from the device’s memory. 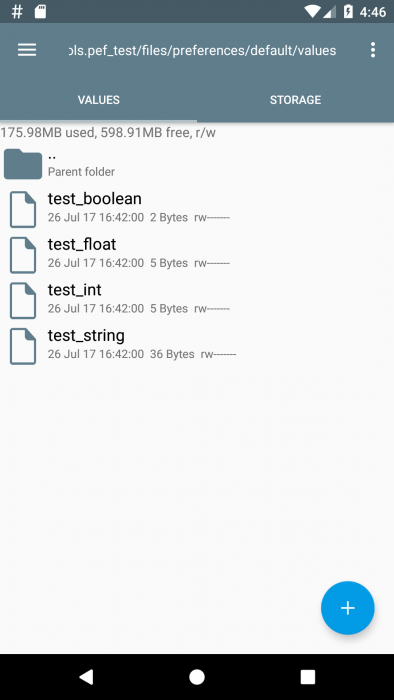 In addition, you can measure the size of the APK of both versions, for this we need the utility APK Analyzer, integrated into Android Studio. Comparison of the resulting APK can be seen in the table below. 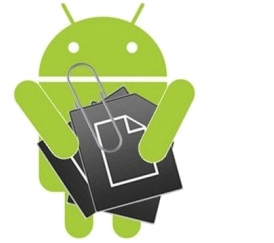 Standard Android SDK methods can not always perform their tasks efficiently, and then user libraries come to the rescue, which can work faster and more efficiently, improving the overall performance of the application.